A handy insect repellent, ideal for fitting into your airplane hand luggage. The active ingredient is PMD a natural repellent found in Lemon Eucalyptus. Approved by NHS and Public Health England. 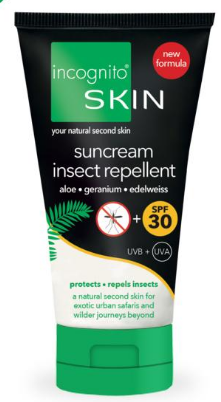 Shown to be 100% effective against mosquito bites (clinically tested to provide 100% protection against Aedes aegypti - Zika carrying, and Anopheles gambiae - malaria carrying mosquitoes for 4 hours). Also shields you against midges, sandflies, horseflies, ticks and many more insects. 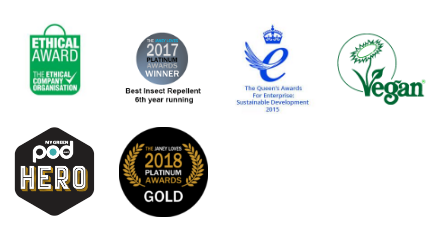 Incognito Anti Mosquito spray contains no DEET or other harmful pesticides. incognito® is certified as 100% natural and can be used by all the family including young babies from 6 months onwards. A COSMOS Natural standard also ensures that both harmful environmental effects and waste production are minimised. In addition, it is 100% recyclable! 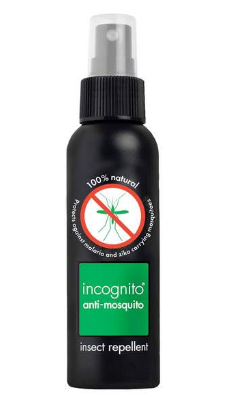 How to use Incognito's Anti Mosquito Spray; Shake bottle and hold 6 inches away from skin or clothing to be sprayed. Hold breath to avoid sneezing and then spray on all exposed skin and clothing. After spraying onto skin, pat the area. This spray repellent is not recommended if you're asthmatic or have other respiratory problems. 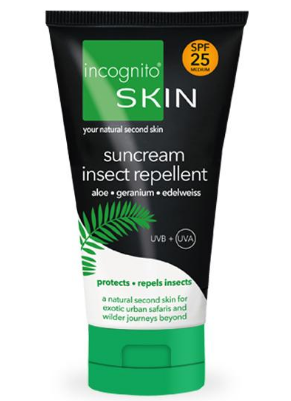 On average incognito® natural insect repellent spray will give you up to 5 hours of good protection. Spray as frequently as required depending on the individual and the intensity of the insects present. 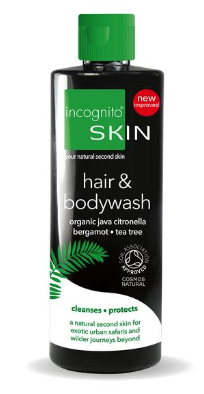 It is a good idea to spray yourself whilst naked, ideally after washing with an incognito® luxury soap, Hair & Body Wash and/or loofah soap and then, after dressing, spray your clothing as well. 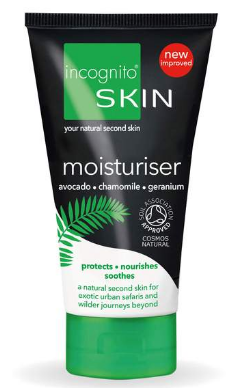 For extra protection apply incognito®moisturiser first - use liberally all over, avoiding contact with eyes – just like any other moisturiser - also use after sunbathing; the high concentration of aloe vera in it is particularly beneficial. Incognito spray should be applied over sun lotions or any other applications. Ingredients; Alcohol, Aqua, PMD rich botanic oil (menthanediol), cinnamomum camphora (camphor) bark oil*, citrus bergamia (bergamot) oil*, linalool*, limonene*, citral*. All blended together in a unique secret process. (*Natural components of the essential oils). Packaging; Recyclable Sugar Cane Plastic Bottle. Watch the product video for more advice.